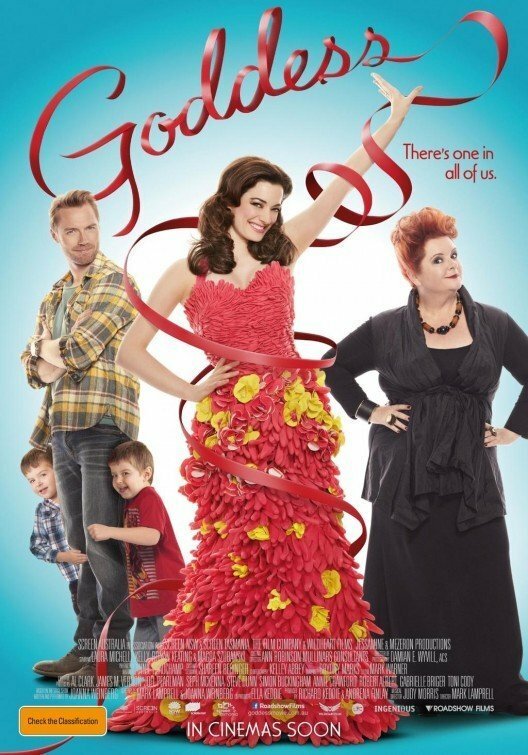 The marketing for the Australian film Goddess (2013) was a strange hodgepodge. Highlighting a heartthrob first time actor in Ronan Keating (former member of Boyzone who seems to have taken up residence in these parts), a woman who starts singing to her webcam whilst doing her dishes, numerous musical numbers and a rags to riches tale. Without being too blunt about things, the one thing Goddess didn’t look was particularly good. Credit to director Mark Lamprell then that he marshals material that is a little all over the shop into a (mostly) satisfying and (mostly) coherent piece. Keating plays an absent husband, off in Antarctica saving the whales or something like that. The former boy band crooner does not stand out as being particularly bad in this acting endeavour, but neither does he truly engage. 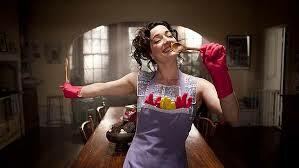 The same can’t be said for his onscreen wife Elspeth as played by Laura Michelle Kelly who is a firecracker and has a really endearing presence. Whilst Keaton has a bit of star power, and no doubt a help when financing calls were made, this is Kelly’s film. Her ditties in costume over the dirty dishes go viral meaning she jets off to Sydney to meet with an agent interested in making her huge. It is a credit to the script that Kelly has a fair bit to work with. The characterisation of her as a former small time musician who loved playing gigs but now finds herself on house mum duty is definitely not overly original, but it is made to work. Goddess plays as both a musical and a melodrama with capital M’s. It is quite old school in how much it wears these two attributes on its sleeve. So much so that there is not really all that much effort put into incorporating the songs into the narrative. Like many of the best musicals there is more than a hint of the surreal to proceedings and it generally does not take itself too seriously. The prime attraction is the cast though. The aforementioned Kelly will hopefully be seen again soon. Whilst Magda Szubanski, a name familiar to Aussie readers but quite possibly no one else, is brilliant as always and her solo number is an unmitigated highlight. Also good in a quite hilarious support role is Hugo Johnstone-Bart. For the most part, the film is a light-hearted success. But it is when it attempts to get a little weightier that it falters. Initially the signs are promising. The thematic concerns of both chasing dreams and being wary of selling out are both teased out nicely. But rather than being a nice, mildly feminist jaunt it turns into quite the opposite. Elspeth becomes racked with guilt simply for chasing the dreams that she should be going for. It becomes this kind of absurd ode to the housewife existence and doing the dishes. Despite my issues with the problematic themes, the charming cast and assured direction mean you could do worse than checking Goddess out if you are in the mood. Sure the film falters a bit in the last act, but Aussie musicals are not particularly common these days, so give this one a go. I’m so ashamed to know this but Ronan Keating was in Boyzone not Take That! I am ashamed that this got past my fact checkers. I am ashamed I didn’t just know this. I have edited the post.